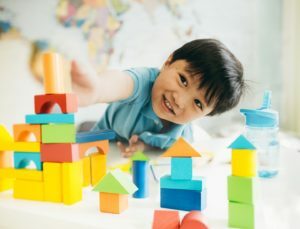 Pathways.org has many tools to help you learn more about child development, important milestones by age, and fun activities you and your child can do together to achieve those goals. Use our resources to make 2017 a year of growth and learning for you and your child! Discover fun activities to do with baby everyday of the year using our Baby Games Calendar. 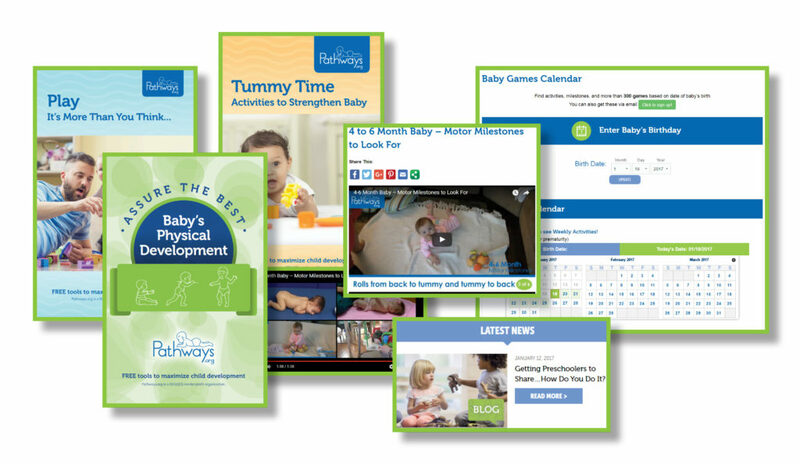 Just enter your baby’s birth date into the calendar and click “update.” The calendar lets you look ahead to see the next milestones your baby should be reaching and provides weekly developmentally friendly games to play with baby to help them reach those goals. Not only will these games help baby improve their sensory, motor, and communication development, they provide a fun bonding experience for both of you! Wonder if your child’s meeting milestones developed by the American Academy of Pediatrics? Check out the “All Developmental Milestones” section of our website to learn more about motor, sensory, and communication development from 0 – 3 years old. Print out our milestone checklists so you can record each time your child reaches an important goal. These checklists are also great to bring to well-baby visits! View our short and parent-friendly videos on milestones, therapies, and activities to do with children on our videos page. 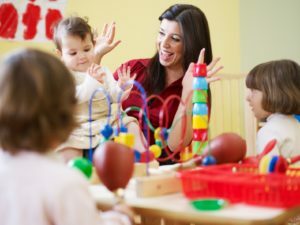 All of our videos are reviewed by our expert pediatric speech-language pathologists, physical therapists, and occupational therapists to provide the best content possible. Our milestone videos give parents examples of how children should be developing at each age. You can also see how children benefitted from early therapy. We’re updating our content all the time to bring you the most up-to-date information on topics concerning babies and young children. Keep visiting our blog to find answers to common questions, age-appropriate activities, and the latest information on child development. Like our videos, all of the content on our blog is reviewed by the physical therapists, occupational therapists, and speech language pathologists who work at our pediatric therapy clinic. Pathways.org is dedicated to providing educational resources for parents and caregivers free of charge. Visit our website to download and print brochures about play, Tummy Time, sensory integration, and speech and language development. Brochures are available in multiple languages. In fact, our Assure the Best brochure is available in 15 different languages! Do you suspect a developmental delay? 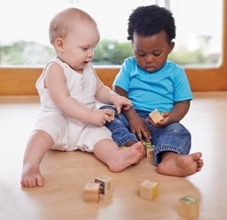 Find out how to help your baby and how to get early intervention services. Are you looking for fun activities to add to baby’s daily routine? These simple activities can go a long way towards developing the 7 senses. Previous Previous post: Getting Preschoolers to Share…How Do You Do It?